Vaporider is kicking off their Pre-Black Friday Sale today. It looks like a good one too. For the next week, you can get $7 off any pod system when you apply coupon code “SEVEN” at checkout. They’ve got a total of 35 different options to choose from. 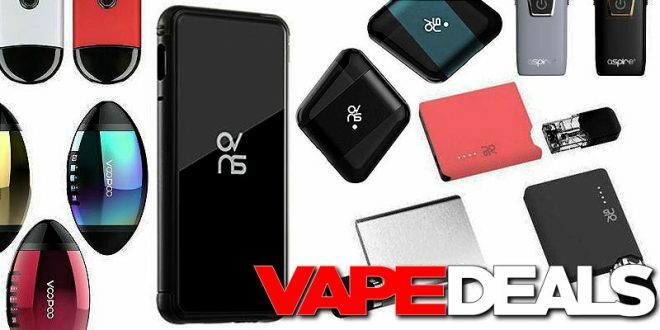 Whether you’re looking for a discrete setup for yourself or for a new vaper/transitioning smoker, there’s a good chance you’ll find something here. Stop by and have a look for yourself. Just keep in mind that this sale ends on Sunday (11/11/18). Vaporider offers FREE shipping when you spend $75 or more.